Roughly slice carrots, red apples, beetroot and ginger. 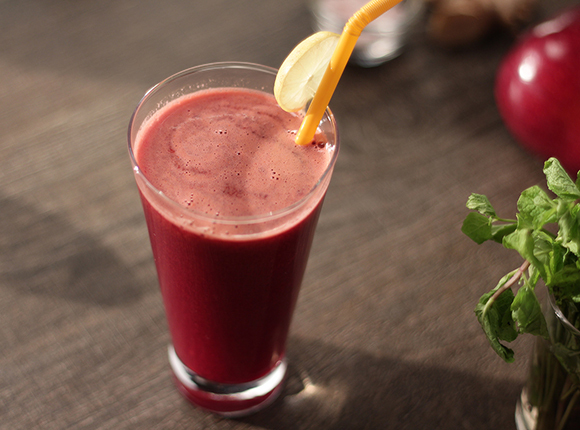 Pass carrots, apples, beetroot, ginger and mint through a slow juicer. Add black salt and lemon juice and mix well. Pour juice into serving glasses, garnish each glass with a lemon slice and serve.